The Mayor of the City of Dubrovnik, Mato Franković, and his associates met with the management team of Cruise Lines International Association (CLIA) along with high-level representatives of the world’s leading cruise lines last week, to discuss the current state of the tourism industry within Dubrovnik. 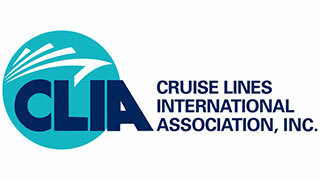 The meeting was attended by the Chairman of CLIA, Arnold Donald, President and CEO, Carnival Corporation & plc; CEO and President of CLIA, Cindy D’Aoust; CLIA Europe Chairman, Kerry Anastassiadis, CEO, Celestyal Cruises; CLIA Europe Secretary General, Tom Fecke; and members of CLIA’s Global Executive Committee. CLIA says conversations focused on how the city and the cruise industry can work together on controlling the movement of visitors through the old city to improve the quality of the experience for all. They discussed that by better coordinating the scheduling of ship calls during peak periods, the region as a whole could continue to benefit from the business that the cruise industry brings. The Port of Dubrovnik plans to invest up to 60 million euros in the terminal to accommodate the growing book of cruise business in the coming year. The Mayor also presented the pilot project “Respect the City,” an initiative to recognize Dubrovnik’s unique and treasured role as a UNESCO designated world heritage site. “The City of Dubrovnik is open for cooperation and plans to take advantage of the close working relationship that we have always had with the cruise industry so the region can benefit from the economic impact of the industry while still preserving the rich cultural and historic heritage of the city,” said the Mayor. “CLIA is looking forward to continuing these positive and productive conversations with the City of Dubrovnik and greatly appreciates the time Mayor Franković took to meet with our leaders to help us better understand how we can work together,” said D’Aoust.